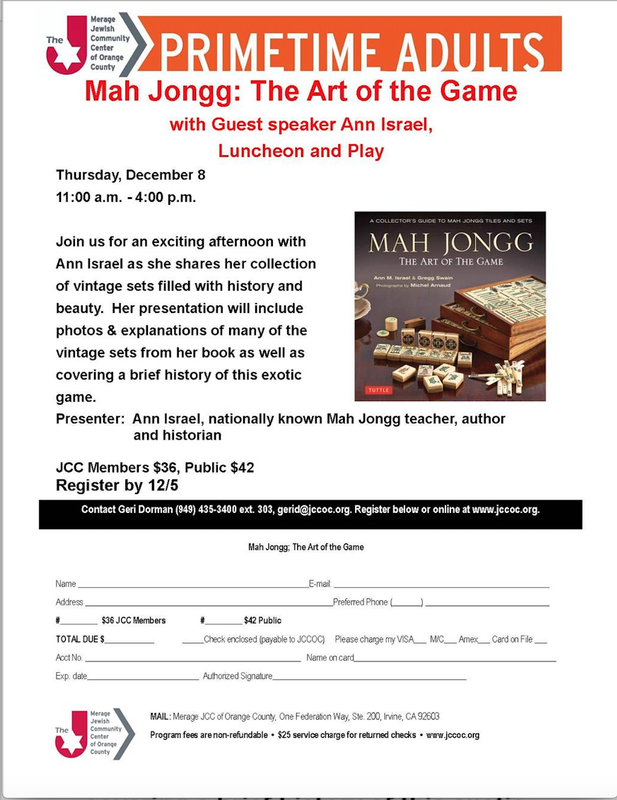 All of you living in or around Orange County in Southern California…the Merage Jewish Community Center of Orange County in Irvine will be holding another one of their very friendly Mah Jongg tournaments on June 2nd…and there are still seats available! 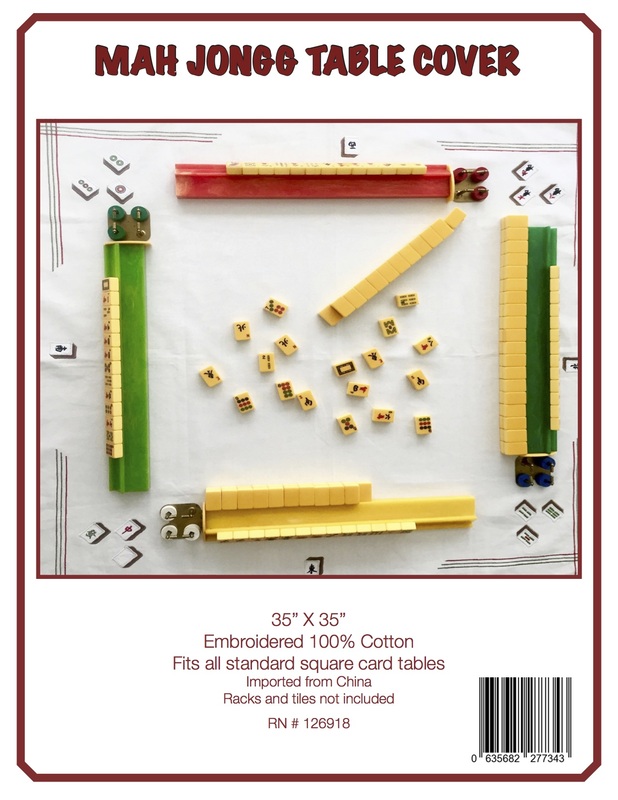 The tournament includes a lovely continental breakfast and a delicious catered lunch with prizes of gift certificates for amounts ranging from $50 all the way up to $100. 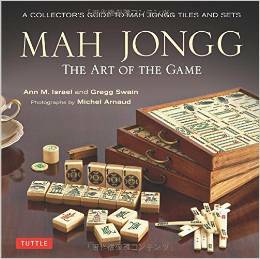 And for those of you who don’t yet play Mah Jongg or are thinking that you aren’t yet ready for tournament play, this event features a beginners table (contact Geri at 435-3400 x 303). 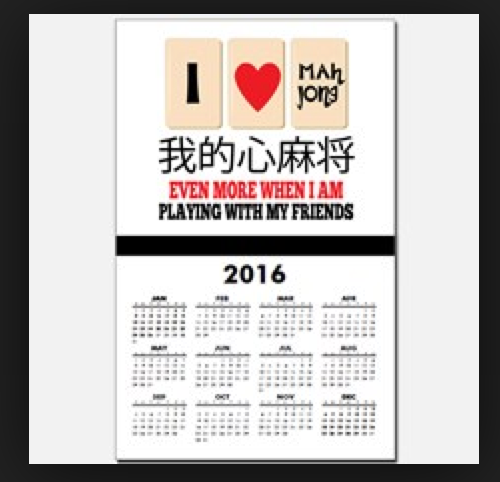 This entry was posted in Mah Jongg and Me and tagged California, Irvine, mah jongg, mahjong, Merage JCC, Orange Country, tournament on May 27, 2016 by Mah Jongg and Me.